Champagne for snails: Garlic fail! I feel your pain! My garlic harvest this year was best I've had, but still pretty average. I likewise gave them lots of feeding (dirty duck pond water in my case) and a reasonably sunny spot. I think variety also made a difference in my case. Like you, I have clay soil so I think next year I will be finding a very sunny spot, giving its lots of manure, digging in some sand to aid drainage and then if I still get a rubbish crop I'm going to retire from garlic growing and just buy it! 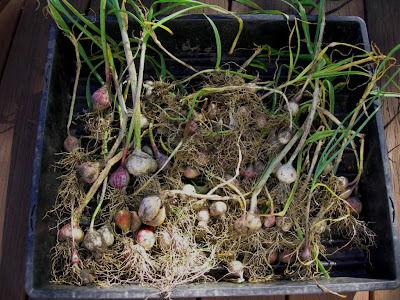 Given Bek's comments and my and your experiences I'm thinking that it has been a bad year for garlic in this part of Melbourne - my theory is that it didn't get cold enough but as I'm frequently wrong...... Did you grow soft neck garlic? I did and perhaps hardneck would have done better. I'm also thinking its a water thing. But then it might be sun too. My bed was pretty dry at times and I think that harmed bulb development. 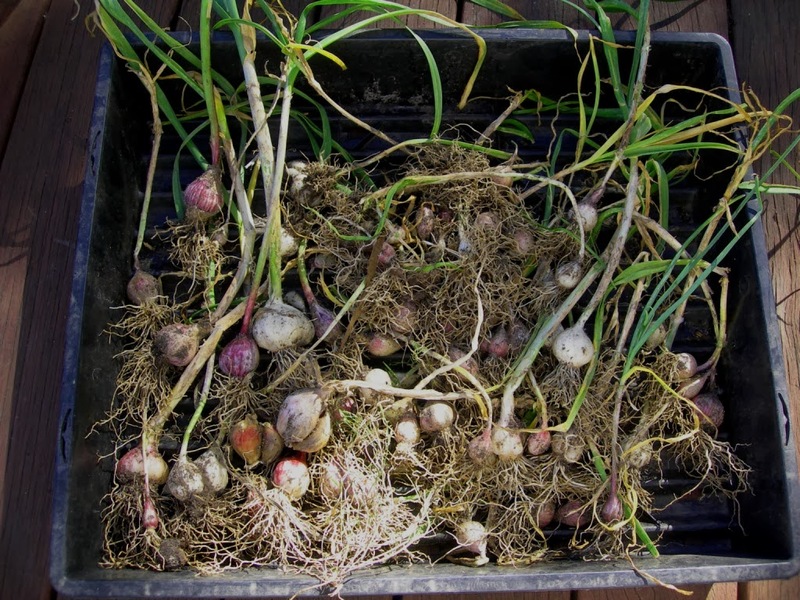 Like Bek I'm going to try one more time - in the bed where I got my best ever whole years worth of garlic harvest a couple of years ago and see if it is all about position. mmmm good point Liz! The cold factor was something I hadn't even considered. Just another thing that has the potential to impact a successful harvest. I have been growing soft head garlic. Oh well lets all report back this time next year to see if garlic will be an ongoing additive in the garden.